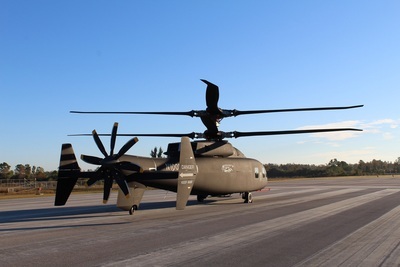 West Palm Beach, Fla., USA - December 26, 2018 - Sikorsky, a Lockheed Martin company (NYSE: LMT), and Boeing (NYSE: BA) provided the first look at the SB>1 DEFIANT helicopter the companies have developed for the U.S. Army's Joint Multi-Role technology demonstrator program. The SB>1 DEFIANT is designed to fly at twice the speed and range of today's conventional helicopters and offers advanced agility and maneuverability. 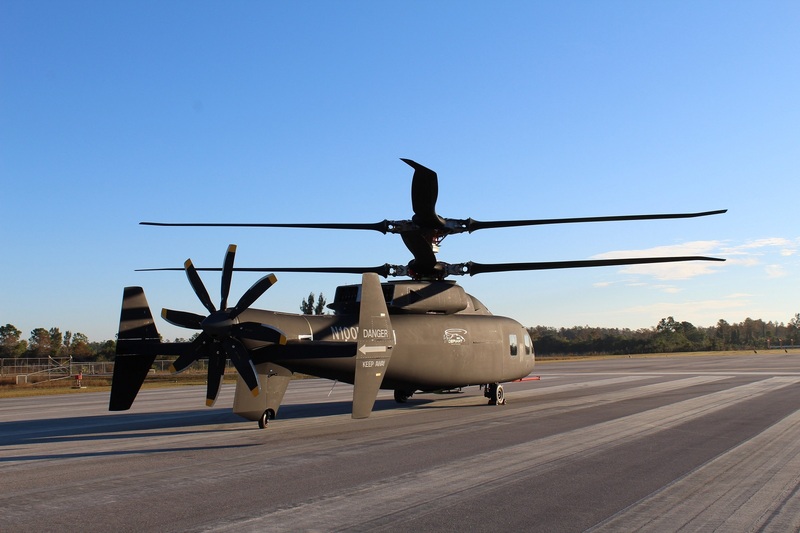 It will help inform the next generation of military helicopters as part of the U.S. Army's Future Vertical Lift program. Sikorsky and Boeing provided the first look at the new SB>1 DEFIANT™ helicopter. The helicopter is one of two designs participating in the U.S. Army’s Joint Multi-Role-Medium Technology Demonstrator Program. 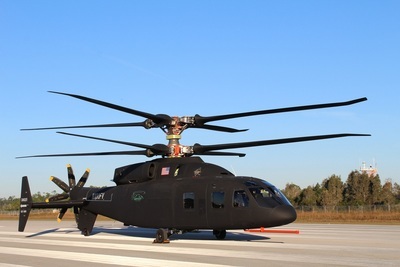 Sikorsky, a Lockheed Martin company (NYSE: LMT), and Boeing (NYSE: BA) provided the first look at the SB>1 DEFIANT™ helicopter the companies have developed for the U.S. Army's Joint Multi-Role technology demonstrator program. The SB>1 DEFIANT™ is designed to fly at twice the speed and range of today's conventional helicopters and offers advanced agility and maneuverability. It will help inform the next generation of military helicopters as part of the U.S. Army's Future Vertical Lift program. 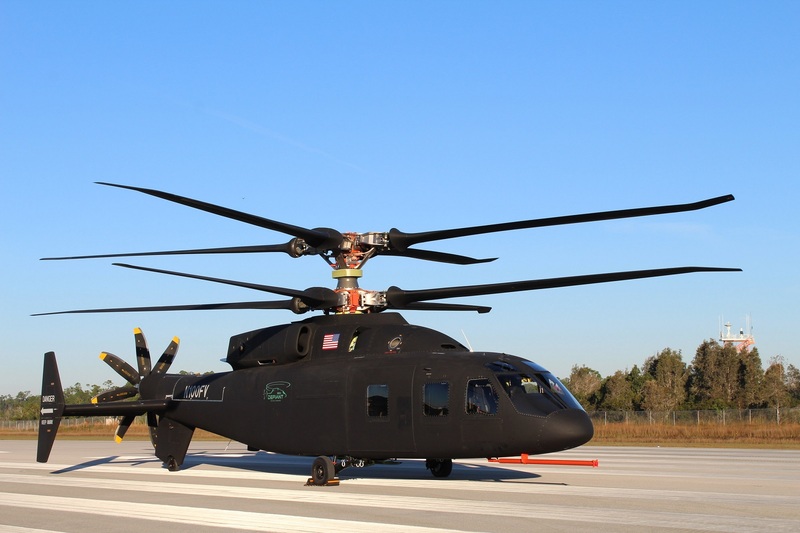 The aircraft’s rotor system will allow it to fly about twice as fast and twice as far as today’s conventional helicopters. The helicopter is participating in the Army's Joint Multi-Role-Medium Technology Demonstrator program. 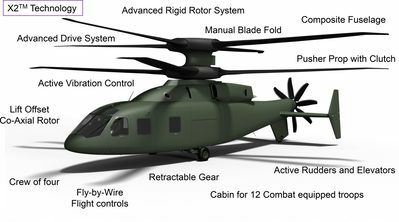 Data from SB>1 DEFIANT™ will help the Army develop requirements for new utility helicopters expected to enter service in the early 2030s. 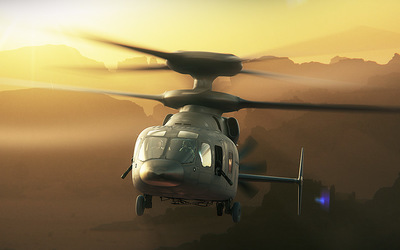 As the lead providers of Attack, Assault, and Heavy Lift Helicopters for the Department of Defense and with a proven track record and a demonstrated ability to exceed customer requirements for those missions with these programs of record, Boeing and Sikorsky have joined forces to develop the SB>1 DEFIANT™ for the DoD. Defiant is a fully integrated aircraft that represents an evolution of the military’s most capable platforms. Designed for the Army’s attack and assault missions as well as the Marine Corps long-range transportation, infiltration and resupply missions, the SB>1 DEFIANT™ is uniquely suited to provide the warfighter with unmatched capabilities for the U.S. Military’s various missions. 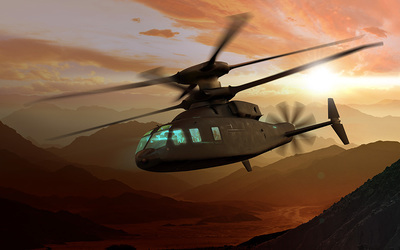 Sikorsky and Boeing have designed the SB>1 DEFIANT™ to provide the right combination of speed, lift and range that are paramount to both the assault and attack missions while increasing overall maneuverability and agility. Developed with 85 percent commonality between attack and assault aircraft, the SB>1 DEFIANT™ will reduce development and life-cycle costs and ensure minimal disruption or loss of existing rotorcraft expertise. Its open mission systems architecture allows rapid technology and capability insertion to meet evolving FVL requirements and provide the U.S. Military with evolutionary sustainability, affordability and readiness for years to come. The aircraft’s capabilities are largely derived from the X2 rigid co-axial rotor system which has already proven its airworthiness through flights of the X2 and S-97 Raider. With two coaxial rotors on top that rotate in opposite directions, the extra lift from each rotor’s advancing blade balances out the diminished lift from the opposite side’s retreating blade to eliminate retreating blade stall. To provide the raw forward thrust for fast flight, the back of the SB>1 DEFIANT™ mounts a pusher propulsor, allowing the aircraft to fly twice as fast and twice as far as today’s conventional helicopter while increasing the overall maneuverability and agility required for specific mission objectives. This additional flight component also provides unique and unmatched maneuverability in all flight regimes including hover, low-speed flight and high-speed flight. 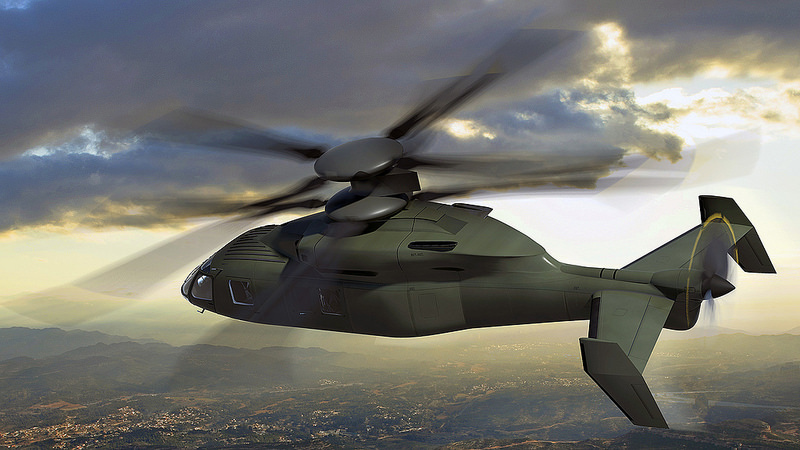 Sikorsky - Boeing Future Vertical Lift is a scalable design based on proven X2 Technology™. 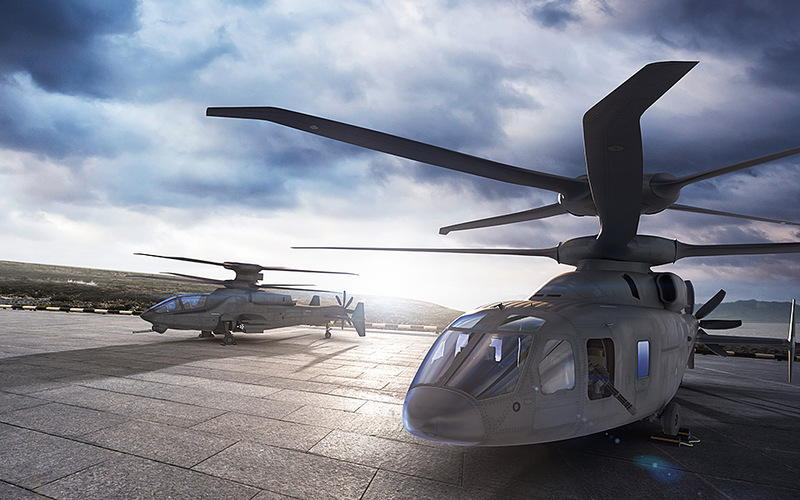 Designed for long range, high speed, superior hover performance and unmatched maneuverability, the Future Vertical Lift program will shape the U.S. military’s helicopter fleet of the future. With a relentless dedication and commitment to meeting and exceeding customer expectations, Boeing continuously supports the vital missions of defense forces around the world. Trusted and in-demand by the United States Army, Navy, Marines and Air Force and by allied defense forces in more than 20 countries across the globe, Boeing vertical lift platforms provide protection and relief in a constantly changing global environment. 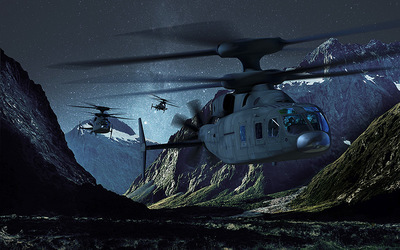 As part of Future Vertical Lift, the Sikorsky-Boeing team is working with those customers to determine the revolutionary capabilities critical toward successful missions in the future. The team has partnered with the U.S. Army Aviation and Missile Research Development and Engineering Center (AMRDEC) to build and fly the SB>1 Defiant™ joint multi-role technology demonstrator as a precursor to the formal acquisition program. Follow us on Twitter: @BoeingDefense and @BoeingSpace.